Warner Bros. has given us confirmation of their upcoming movies at Comic Con Experience in Brazil. Steven Weintraub from Collider posted on Twitter that Wonder Woman 2, Suicide Squad 2, Batgirl, The Batman, Shazam, Justice League Dark, Flashpoint, and Green Lantern Corps were mentioned at the WB panel with comicbook.com also reporting that Aquaman was included in the showing. While this doesn't mean that no other movies are coming, this gives us a pretty good idea as to what rumors were real and raises some questions on films that were in the works. For one, the Batgirl deal with Josh Whedon we reported on a while ago is still good. Since Josh Whedon is seemingly taking a larger role in the DC film universe, it would make sense that he is still getting to write and direct his own movie. Justice League Dark, which was rumored to be canceled in favor of the animated movie that came out last February, is still coming, whether or not Guillermo del Toro is still directing is another story. It also looks like the Joker origin movie isn't happening, the Harley Quinn solo film isn't happening, the Gotham City Sirens movie isn't happening, the Deathstroke movie isn't happening and every other weird movie idea that we didn't report on isn't happening. 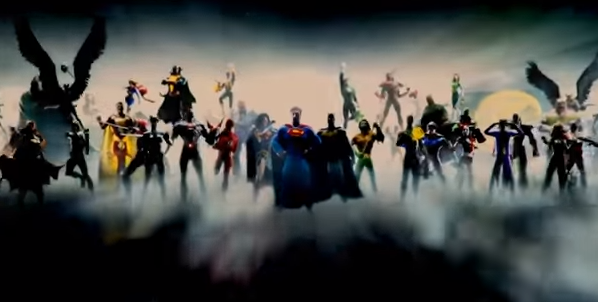 The notable absences are the Cyborg and Flash solo movies, but we don't know whether Flashpoint will be the Flash's film or the next Justice Legue gathering. Man of Steel 2, that had Mad Max's George Miller at the helm at one point, is also gone. Whether this means that those were never happening or Warner Bros. has cleaned up it's out of control movie slate is information I don't have, but it does suggest that the DC film universe is heading in a clear direction. With Justice League performing under expectations, it looks like Warner Bros. has listened to criticism and is trying to set things right. We'll keep you guys updated once we know more, so keep an eye on the site in the meantime. What do you guys think? Like the film lineup? Disappointed in some of the missing movies? Let us know!